Educators Environmental - That's Sick! Public health laboratory scientists routinely look for contaminants in air, soil, food, water, or toys that can have a serious health impact on humans, livestock, and pets. These can include chemical agents such as heavy metals, organics, toxins, or infectious agents. Human or animal exposure to such toxic agents can be detected through testing of body fluids through a process known as Biomonitoring. Environmental health is an essential component of public health, and its main focus is to study how the environment is impacting our lives and health. Environmental contaminants can cause severe disease in humans so monitoring and controlling these contaminants can prevent adverse effects on public health. Public health laboratory scientists look for contaminants in the environment such as in drinking water, soil, air, toys, or food. They can also look at humans to see if they have been exposed to environmental chemicals. This is known as BIOMONITORING. Biomonitoring is a tool public health laboratory scientists use to assess people’s exposure to environmental chemicals by testing the levels of these chemicals or their metabolites in human specimens such as blood, urine, or hair. The data generated by public health laboratory scientists are used to measure and track changes in chemical exposure over time, identify groups that are highly exposed to chemicals/toxins, and inform and evaluate programs and policies to reduce exposures. Below are a few examples in which public health laboratory scientists play a role in protecting the well-being and safety of the public from contaminants in the environment. In this experiment called “Lead Presence Testing” from Rohm and Haas, students will test for the presence of lead in their homes, collect and gather data, and interpret results for ways to reduce family exposure to lead, if found. This site includes lesson plans, activities and ideas on many environmental science topics including environmental health. See Health tab: Lead Blockers; Lead in Paint, Dust, and Soil; A Citizen’s Guide to Radon; Mercury Bioaccumulation (biomonitoring); Chemicals, the Environment, and You (toxicology), etc. Students will create a two-sided placemat that displays the physical and chemical properties of lead, the uses of lead in our society and the adverse effects of lead on public health. This set of demonstration projects helps students understand how public health laboratory scientists test public drinking water systems and help identify if public water is safe to drink. Students learn about the history and personal benefits of radiation protection. This lesson plan includes vocabulary, history, a worksheet, answer key and timeline cards. 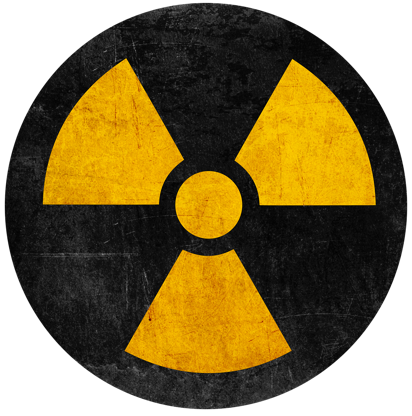 This interactive site teaches the concept of radiation to middle and high school students. The activities introduce basic concepts of radiation, radiation protection, radioactive atoms, radiation exposure and radioactive decay as well as bring awareness and understanding of radiation to the students. This is a short video (1:27) explaining the role that public health laboratory scientists play in the monitoring of environmental organic pollutants of fresh water sources. After moving with her family from Sudan to the United States, a little girl becomes ill with flu-like symptoms and dies. The investigation reveals that the little girl died of extremely high levels of lead poisoning (21:38). This site describes biomonitoring and how public health laboratory scientists use biomonitoring to assess people’s exposure to toxic substances and for responding to serious environmental public health issues. Have questions or feedback? Contact us at contact@thatssick.org.